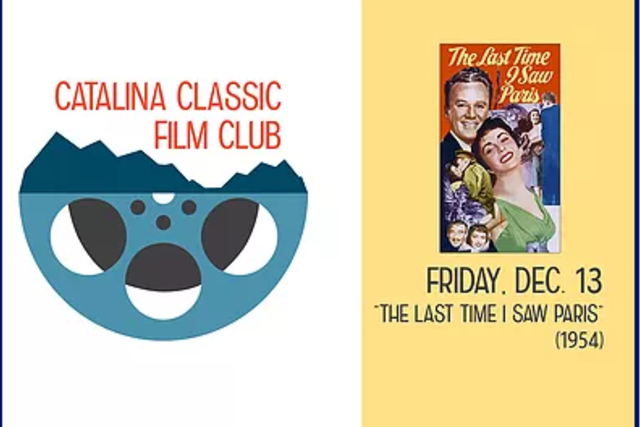 Join us for a screening of the romantic drama The Last Time I Saw Paris starring Elizabeth Taylor and Van Johnson. This film adaptation of a F. Scott Fitzgerald story about a writer, played by Johnson, who returns to Paris to gain custody of his daughter. While there, he reminisces about the last time he was in Paris at the end of World War II. That is when he met and married Helen Ellswirth, played by Taylor. Donna Reed, Walter Pidgeon, Eva Gabor and Roger Moore (his film debut) are among the numerous supporting actors.